Hi! I'm Amanda Gulino, Founder of A Better Monday. I’m a coach, a talent & culture whiz, an advisor, and a lifelong learner on a journey to help you unlock your potential and the potential of others. My mission in life is about you — it’s my ultimate purpose to help you boldly go after everything you want in your work and life. The most important thing I can share with you is this: Really (really) good things come from investing in people -- that includes you and those you work with. Work can be fun. Life can be fulfilling. Mondays can be awesome. We can get you there! Amanda Gulino is the Founder at A Better Monday, a people-focused coaching and consulting company that helps people and organizations to step boldly toward their big, wild, lofty goals -- personally and professionally. With over a decade of experience in the talent and culture space, she is an accomplished coach, facilitator, speaker, and leader working with purpose-driven and mission-driven clients across the U.S. Those that worked with Amanda have described her as pioneering, intentional, bold, driven, and relational. At A Better Monday, Amanda works with individuals and organizations. She helps individuals to step boldly toward their wild, lofty goals and dreams through 1:1 life, leadership, and career coaching. She also helps teams organizations to design, build and invest in people, team, and culture. She works with clients to create healthy, happy teams by developing and facilitating team retreats, facilitating workshops, developing inclusive and equitable talent programs, and coaching leaders to fully live into their roles as people leaders. 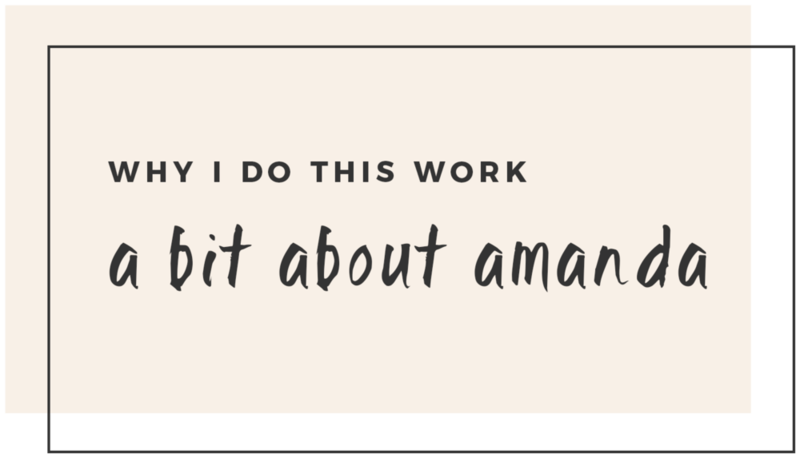 Amanda's work has been featured in Fast Company, Glassdoor, FabFitFun, and Thrive Global. In her free time, you can find Amanda exploring the Bay Area, traveling, drinking a cup of coffee, reading or hanging out with her rescue dogs and partner. In addition to running A Better Monday, Amanda is a leadership development trainer at Full Potential Ventures and a facilitator at InclusionVentures. Amanda grew up in Baton Rouge, Louisiana and lived there through college. After that, she moved to New York City and now lives in the Bay Area with her dogs and partner. Amanda is running the NYC marathon in 2019 on behalf of Reading Partners, her professional home for over 4 years! When Amanda was a child, she played business owner and boss quite frequently. She founded A Better Monday part time in 2016, fulfilling a lifelong dream of running a business. “We found Amanda during a major growth period for our non-profit, and I’m so glad we did! Not only did she jump in and analyze the current status of our agency swiftly, but she also designed and guided me through a new hiring process. She was gentle in helping me understand where we needed improvements while building off the existing strengths and realities of our organization. Once a month, I'll send you a roundup of inspiring reads, suggestions for your reading list, and more.